The Syngenta Foundation’s special expectation following the Declaration of Abu Dhabi relates to smallholders in developing countries. We want their children to be able to choose farming as a profitable and respected profession. Using the best technology, they will tap into new income streams in dynamic urban markets, and sustainably ensure healthy diets worldwide. With the right agricultural technologies and supporting services such as extension, credit and micro insurance smallholders can increase their production significantly and sustainably. In the process, they improve their own food security and that of their communities and countries. 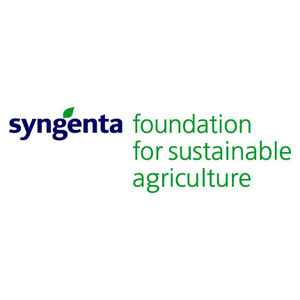 The Syngenta Foundation’s mission is to create value for small farmers in developing countries through innovation in sustainable agriculture and the activation of value chains. We help ‘pre-commercial’ smallholders become more professional growers by raising their yields and linking them to profitable markets. SFSA runs projects in Africa, Asia and Latin America, and contributes to the agricultural policy debate worldwide. We work with a wide range of partners operationally and in thought leadership. As well as establishing pilot projects, the Foundation also puts major emphasis on successful scale-up. For further information , see www.syngentafoundation.org.